The OMAX 80X takes an eco-friendly approach – using only natural garnet abrasive and water in the cutting process. Ellison has cut up to three inches into a material, but .06” to one-inch cuts are typical. With the OMAX 80X, Ellison can offer the fastest cutting speeds and best precision. Equipped with A-Jet®, a software-controlled multi-axis cutting head, the OMAX 80X has a cutting range from 0° to 60°. It saves time by cutting components that require no secondary finishing or additional labor. 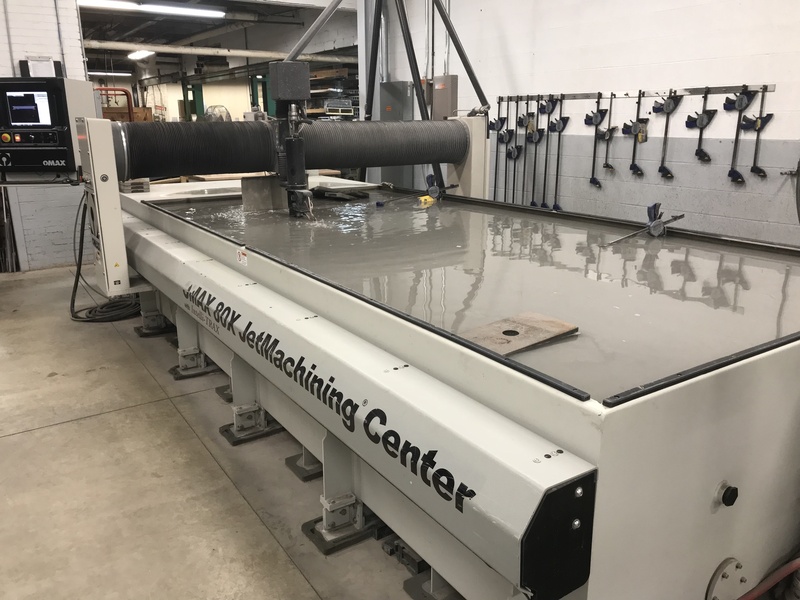 “One process that we’ve developed and are very proud to provide to our customers is creating stainless steel thresholds by cutting half inch stainless steel plate. We use the etching feature to put grooves in and bevel the edges for a satin-smooth finish,” says Overend. 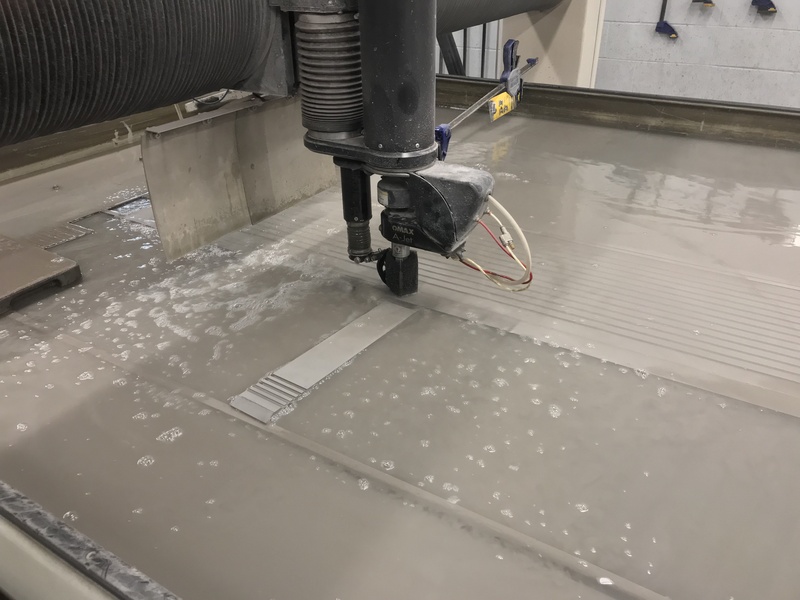 Quality control is paramount at Ellison, and the waterjet is yet another commitment to this standard. Ellison continues to seek out new ways to improve efficiencies, speed up production, and deliver the highest quality balanced door systems that will last a lifetime – or longer. The waterjet is highly compatible with today’s most popular software programs – allowing Ellison to import from more than 90 different file formats including vector graphics, 3D files, raster graphics, CAD files and more.